Galvanized staples offer optimum performance for consistent stapling time after time. High-quality construction is made from premium materials and created to exacting standards to ensure precise fastening. Chisel point pierces through paper to help reduce the effort required to fasten sheets. 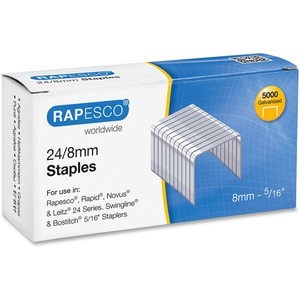 24/8mm staples are designed for staplers using Rapesco 24 series.